You may know that, as part of our passion for safety, Clarion is a longtime and active member of the standards bodies responsible for safety sign and label standards – the American National Standards Institute (ANSI) domestically and the International Organization for Standardization (ISO) internationally. That includes, for over twenty years, being a member of ISO’s Technical Committee 145 (ISO/TC 145). We have an exciting news update to share: this month, Clarion’s founder, Geoffrey Peckham, became the new chair of ISO/TC 145. What exactly is ISO/TC 145? This committee is one of the most influential global standards-writing bodies, made up of participating and observing members from over 50 countries. 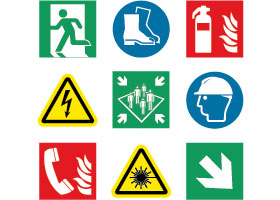 Safety sign and safety label standards are a large part of ISO/TC 145's work; it’s the only international committee responsible for the standardization of graphical symbols used on safety signs and labels. 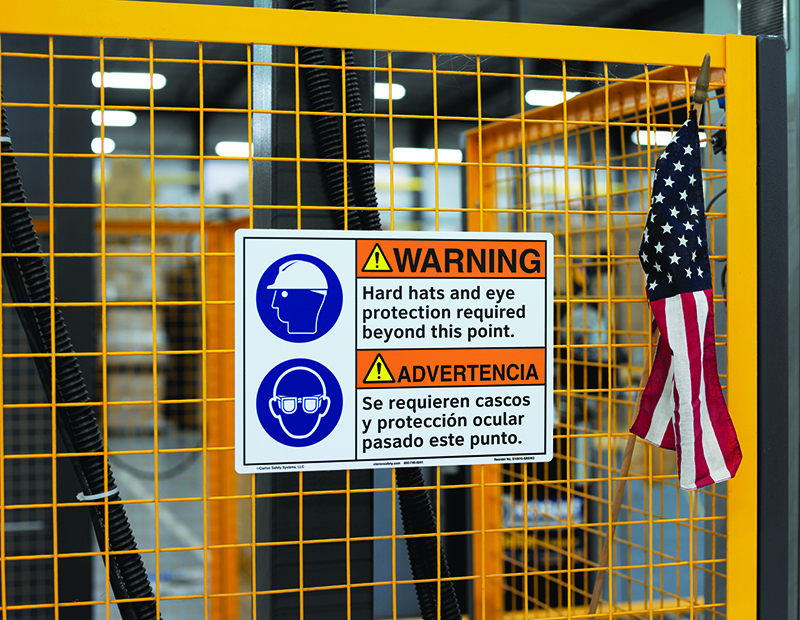 That means that, as part of its work, this group standardizes the symbols that appear on labels and signs in facilities that help keep employees, contractors and visitors safe, such as warnings to wear a specific kind of personal protective equipment, like hard hats or eye protection. "It’s a privilege to hold this position, and to pick up where Barry Gray, the previous chair, has left off. He helped to evolve the committee’s standards to where they are today: recognized as defining global best practices for every topic they touch. I will do my very best to provide the leadership necessary for this committee to continue to have such a positive effect on shaping the global language of symbols that, among other things, help people to safely use products and navigate their surroundings,” Geoffrey says. Read our official company news – and know that we’ll continue to keep you updated on the latest new happenings and best practices for safety symbols, signs and labels.